The Gator Grip Universal Socket is a universal self adjusting socket with automatic standard and metric application that instantly adjusts to grip hex nuts, screw eyes, hooks, lag screws, and bolt heads. Gator Grip especially works great on rusted and damaged heads. Gator Grip self adjust from standard 1/4-inch to 3/4-inch and metric 7mm to 19mm and has a torque of over 125 pounds.. The tool’s socket contains 54 hardened steel spring pins for long-lasting durability. When placed onto a fastener, the center pins retract and the outer pins surround the fastener. 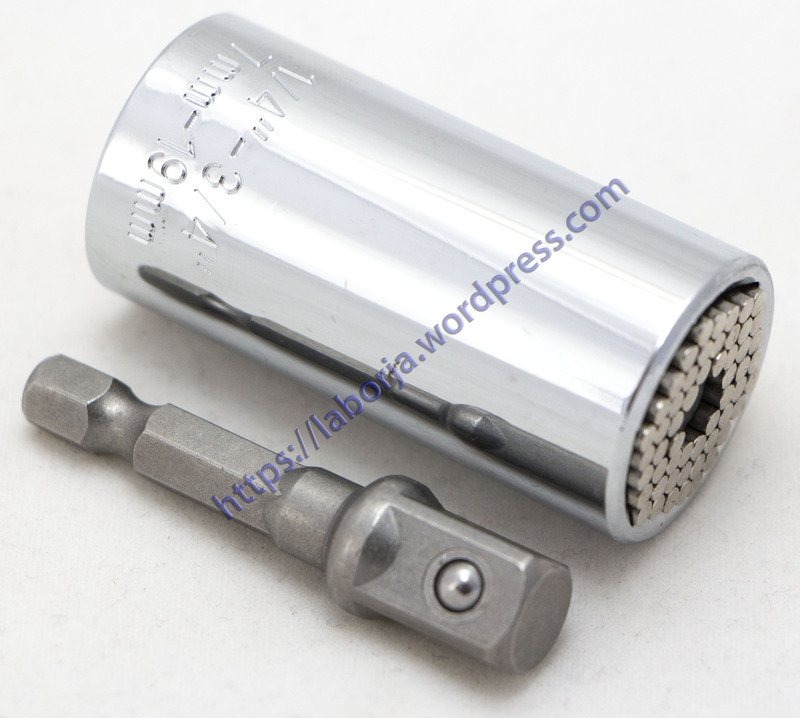 As the fastener is turned, the torque is transmitted through the outer pins to the walls of the socket, making this socket an ideal choice for heavy-duty personal or professional use. The tool features a 3/8″ drive. The ETC-120A comes with a Drill adapter that turns any drill or power screwdriver into a poeer socket set.